Connecting a computer mouse to your tablet setup will make it easier to navigate between screens and apps. And when you play games on a PC or a tablet, adding a mouse that’s specifically designed for gaming can seriously enhance gameplay. Our computer mice come in a variety of sizes and styles, from affordable versions that are perfect for work to deluxe models that you’ll want to show off to your gaming friends. If you use your tablet at work or school, adding a mouse can make it faster and easier to take notes. Each mouse is unique, but all our mice are ergonomically designed to help you get the most out of it. Our gaming mice are especially well designed so that you can play for longer without getting uncomfortable. Our gaming mice feature extra buttons that you don’t get on normal mice to make gaming even better. 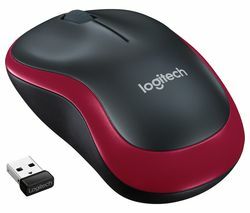 If you’re looking for a brand you can trust, check out our impressive range of HP computer mice. And if you want to take your gaming rig to the next level, take a look at our complete range of gaming mice, you won’t be disappointed. 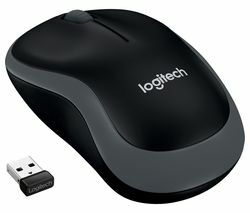 If you’re looking for an easy way to enhance your tablet or gaming PC, a new computer mouse is ideal.